OWC will present a broad range of current and upcoming tech products in Booth 4L4-04. OWC, a leading zero emissions Mac and PC technology company, will exhibit a wide selection of innovative products at the 22nd annual Broadcast Asia Exhibition & Conference. Held at Suntec Singapore Convention & Exhibition Center, the exhibition will take place Tuesday, May 23rd through Thursday, May 25th. Compatible with Mac OS X and Windows, the dock’s litany of ports provides a compelling solution for creative professionals seeking to unite a multitude of peripherals for ultimate connectivity. Like the Thunderbolt 2 Dock, the OWC Thunderbolt 3 Dock offers convenience and flexibility with its 13 ports, now including a high-power USB 3.1 Gen 1 port for fast mobile device charging, a mini DisplayPort with support for a hi-res display up to 4K at 60Hz, and two Thunderbolt 3 ports. With the introduction of Thunderbolt 3 technology, the new OWC Thunderbolt 3 Dock can support two incredible ultra hi-res 4K displays at 60Hz, extensive daisy-chain connectivity and power delivery, creating an even more streamlined workflow. The next generation in the OWC Mercury Helios lineup, Mercury Helios 3 is the new frontier for powerful high-speed expansion cards, defying the current limits of conventional Macs. Accommodating a double-width, half-length x16 PCIe card, Helios 3 is hot-pluggable, powers on and off with a computer and is great for hi-res video ingest cards and other PCIe connectivity solutions needed to ensure seamless productivity. Built from a rugged aluminum chassis with a dedicated cooling fan, the PCIe expansion chassis features two Thunderbolt 3 ports for optimal performance. It also features a mini DisplayPort to allow the support of two 4K displays or one 5K display as professional office needs expand. Broadcast Asia 2017’s Imagination Unbound theme invites attendees to witness state-of-the-art technology solutions presented by leading results providers. The international event will host professionals from broadcast, production, post-production, digital media, entertainment, education, and more, allowing attendees to take away insights garnered from informative and engaging sessions taking place throughout the exhibition. 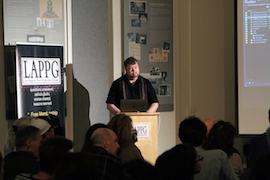 Karl Soule returns to the LAPPG after 6 years to share the latest from Adobe Creative Cloud. Advantage Video System’s Jeffrey Stansfield shares his picks from NAB. May’s Meeting was in Roth Hall where we welcomed back Karl Soule from Adobe to share the latest from Adobe Creative Cloud including updates, new features, a cool Character Animator demo, Adobe’s support for the latest formats and more. 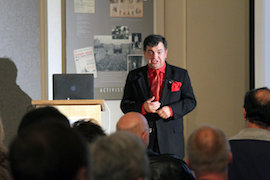 After the networking break Jeffrey Stansfield of Advantage Video Systems shared some of the best products from NAB. Alex Ferrari is an award winning director/writer/producer and the founder of IndieFilmHustle.com. He has been directing short films and working on the post production side of the industry for over a decade. He decided to stop waiting for some “Movie God Gatekeeper” to give him a shot to direct a feature film and created the opportunity for himself with his first feature film, “This Is Meg,” which was shot, edited and graded using Blackmagic Design exclusively. 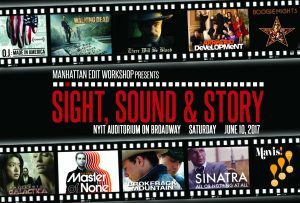 Alex will discuss how filmmakers can make the most of DaVinci Resolve as a professional editing solution. He will dive into the ins-and-outs of what filmmakers need to know when editing with Resolve and how it can best fit into their workflows. In this short presentation, Marcelo Lewin and Ricardo Silva, founders of Essential GFX, a company which focuses on bringing essential tools for media creators, will show you how to create simple Motion Graphics Templates inside of After Effects and then publish those templates using the Essential Graphics Panel to the Adobe CC library so that Adobe Premiere Pro users can easily use them inside their project. They’ll also cover why you should use templates in your projects, some best practices and how to share them within your team. 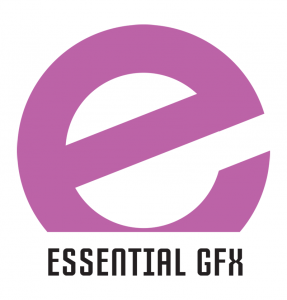 For more information about Essential GFX, please visit EssentialGFX.com. *There is street parking as well as a Crossroads parking lot behind the Sports Complex.